Book your world-class diving today! 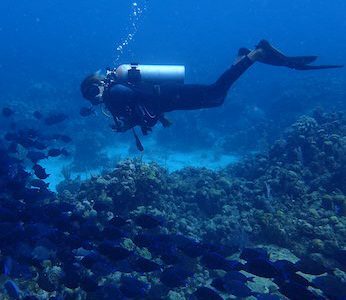 Located within the Roatan Marine Park, Ocean Connections is able to quickly and easily access stunning coral, abundant sea life, and a wide array of diving adventures. From beginner courses to professional internships, learn from the best professional instructors in Roatan! 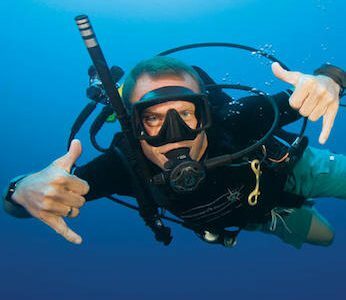 Expand your skills to be a safe, smart and prepared diver. B.O.S.S. is an acronym for Breathing Observation Submersible Scooter. 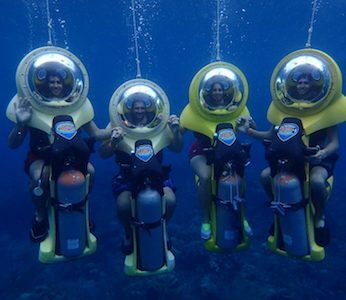 It is a unique and exciting underwater motor scooter that lets you explore the vast ocean.